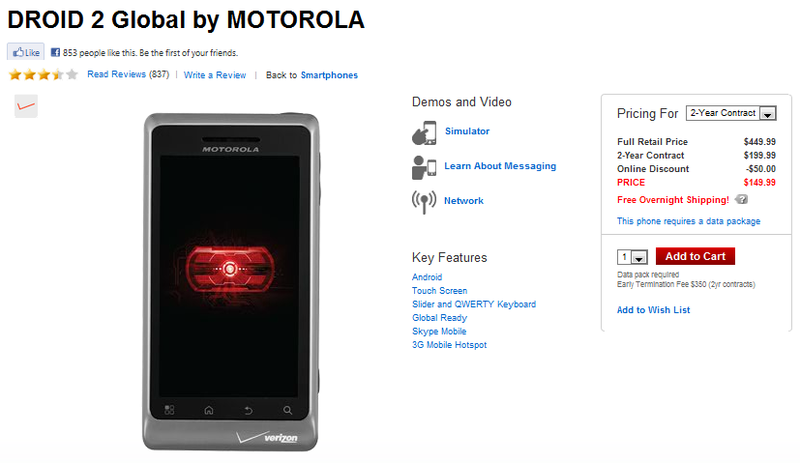 Some time over the last week, Verizon dropped the price of the DROID2 Global $50 down to $149 which is usually a pretty good sign that something else is on the way. What could that “something new” possibly be, you ask? 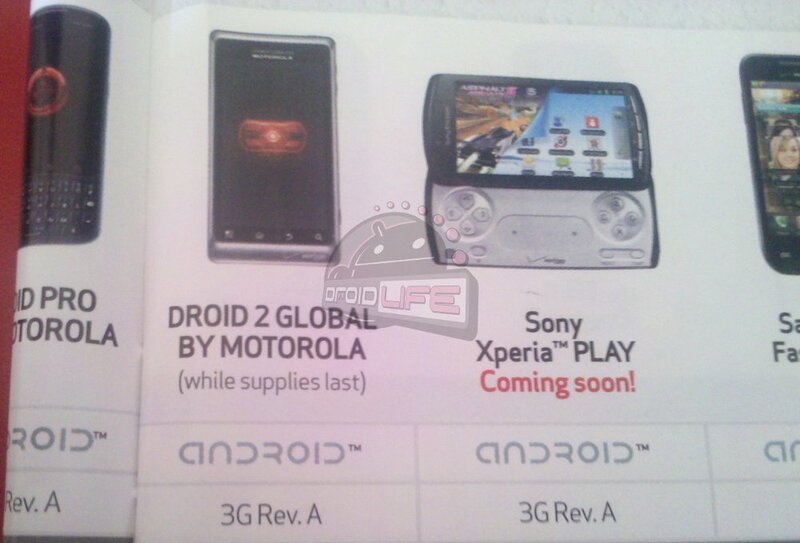 We’ll have to assume that it’s the DROID3 and that all of those back alley June release rumors were somewhat on point. In fact, we’ve heard from two separate sources who expect the device to launch towards the end of June or early July. In the past, these price drops are usually pretty good indicators that a device will be replaced within a couple of weeks. We saw it with the original DROID2 when it was upstaged by this device, and then we also saw it when the DROIDX took over for the original DROID. Everyone ready for the D3?